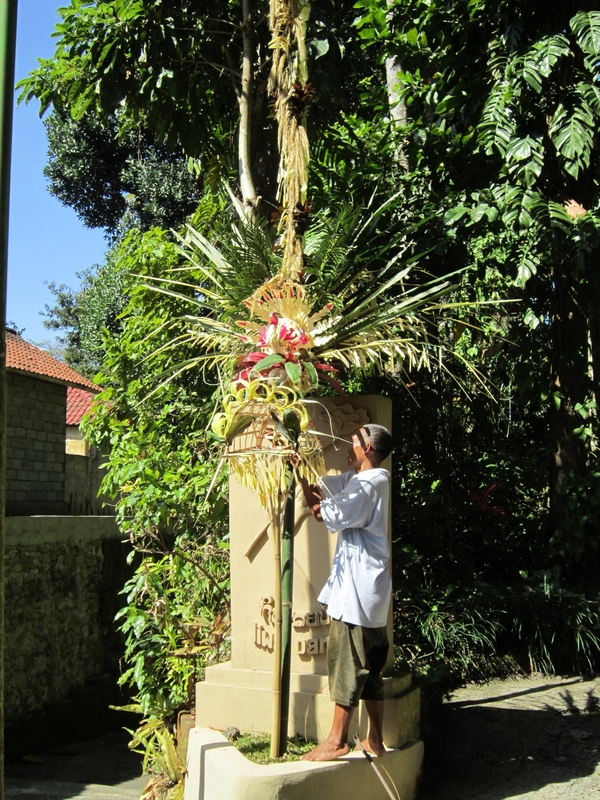 The Penjor is a traditional Balinese decoration made for the Galungan festival. 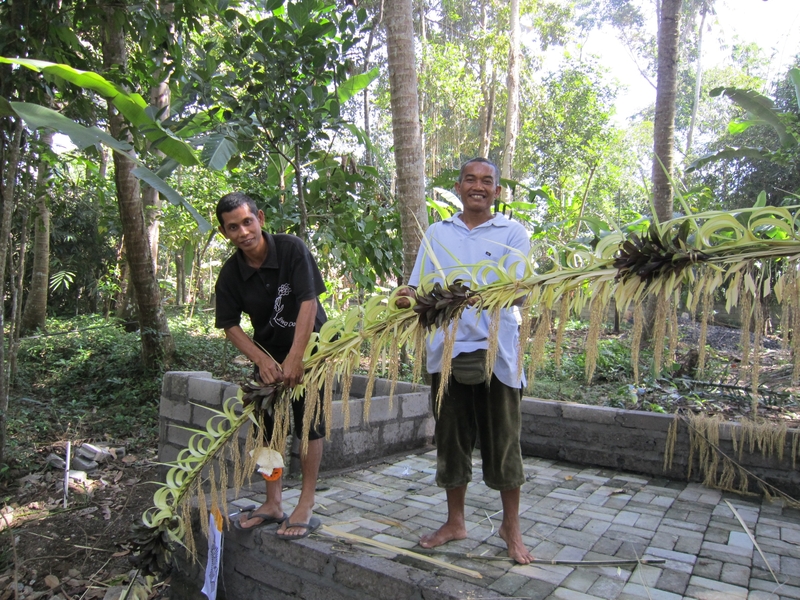 Galungan is a traditional Balinese celebration, similar to a Western Christmas, where families get together. 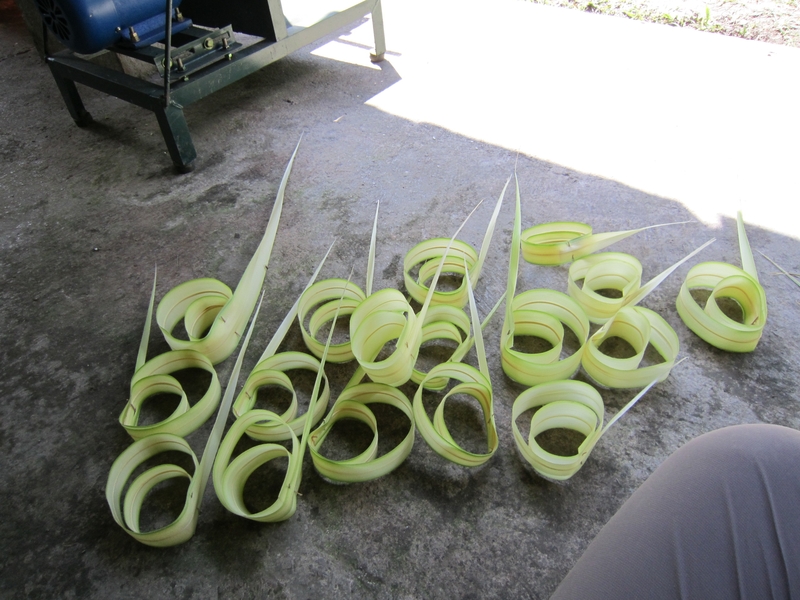 The Penjor is usually made by the head of the family, and it takes a whole day for the family to put it together. It is then erected outside each family compound.